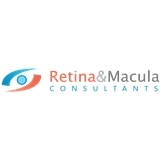 Retina & Macula Consultants, P.C. (Staten Island) - Book Appointment Online! Retina & Macula Consultants, P.C. is a state of the art practice and facility located in Staten Island, NY, dedicated to delivering the highest level of medical and surgical care to patients with retinal conditions. We provide focused expertise and experience with the latest advances in medicine and technology. We treat only adult patients and we don't provide glasses, refractions or contact lenses, as our expertise is in evaluatation of and improvement of the health of the eye. Please visit www.siretina.com for more information. Dr. Josh Glatman is very professional and knowledgeable. He takes his time to listen to you, he has an excellent bedside manner, and he gives very helpful advice. His staff is also very professional- they are very friendly and they really focus on helping you. I have visited the doctor's office 3 times and all 3 times I was seen fairly quickly. I would wholeheartedly recommend Dr. Josh Glatman and his staff to anyone seeking a truly professional doctor who cares deeply about his patients.